"There's three lines there, that are just laying across the ground," said John Gibeau, a Ceylon City Council member. "And they run down for probably another 60 yards." He gives Frontier's work on this telephone line project a failing grade. It looks like the cables were successfully laid out, but that's it. They've never been buried or attached to a telephone pole. Nearly 400 people have attended a series of public hearings across Minnesota concerning complaints about Frontier Communications as part of a state Public Utilities Commission investigation of the phone and internet company. In Ceylon, the problems with Frontier are in plain sight. Gibeau points out one line draped across a propane gas tank. When the cable reaches a street, it's elevated so that vehicles don't run over it. But not to a telephone pole. Instead the line is supported by the overhead branches. 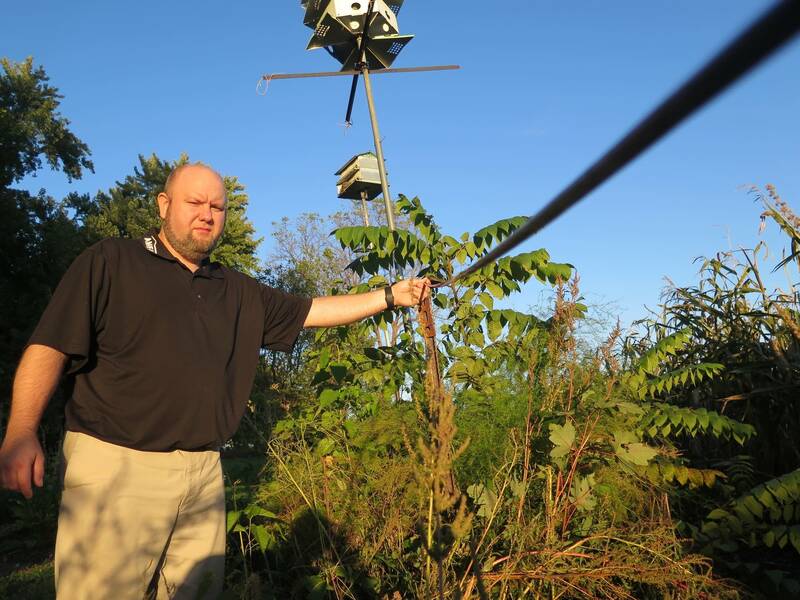 "It elevates up into the tree that is now acting as a Frontier telephone pole," Gibeau said. "And so it goes up over the tree, and to the next tree across the street. Through a bunch of branches which isn't safe. And this here actually has been this way for almost three years." They even reached out to the state attorney general's office for help. Now they're taking their case to the Public Utilities Commission. Gibeau attended the agency's recent hearing in Slayton concerning Frontier complaints. There he told an administrative law judge that the Ceylon issue is larger than just unsafe cables laying in the grass. He said the unfinished work symbolizes corporate indifference to the vital work of completing an adequate rural telecommunications network. "If we don't have proper internet, you can kiss these small towns goodbye," Gibeau said. Just how important good communication lines are was demonstrated by another testifier at the Slayton hearing. 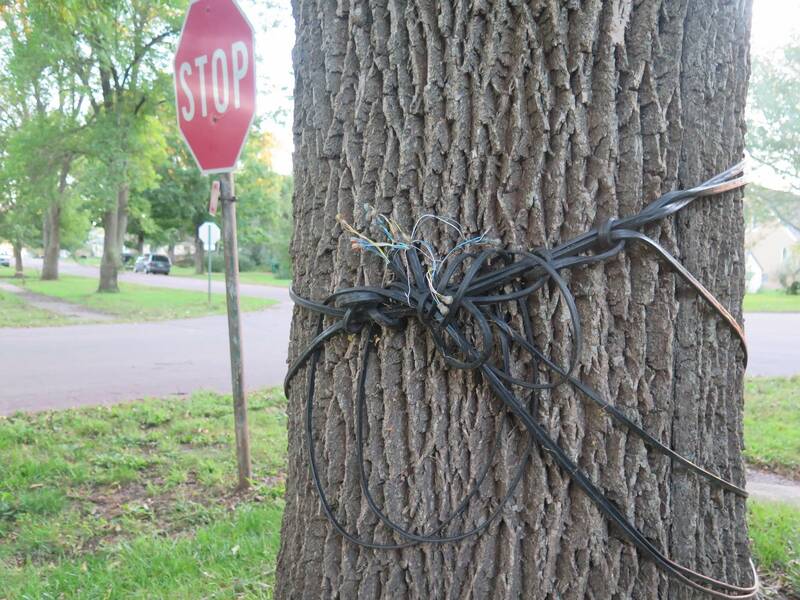 Last summer a construction crew severed the Frontier cable that serves Dale Burkhardt's southern Minnesota farm. He said it hasn't been fixed yet. 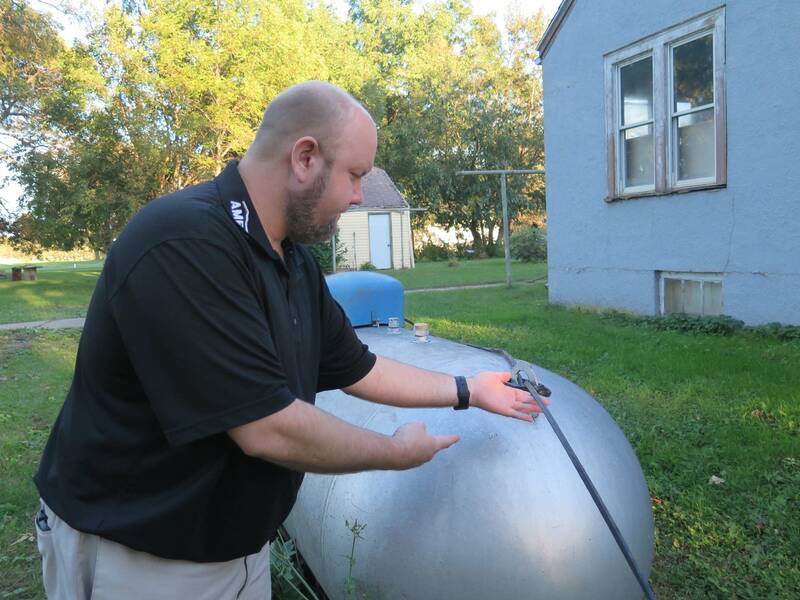 "I still don't have a landline, I don't have an internet," Burkhardt said. "I'm getting a little fed up." During the summer he runs a crop-spraying service. He estimates he's lost about $10,000 in business because customers can't reach him. Frontier representatives at the PUC hearings have repeatedly apologized for problems the company's more than 90,000 Minnesota customers have experienced. They include the unfinished Ceylon project, but also numerous complaints about unreliable internet or phone service. The company's vice president of communications Javier Mendoza says Frontier is listening. "For us, one customer who is out of service is one customer too many," Mendoza said. "So, we would thank our customers for their patience. We recognize that from time to time we experience service issues and delays. And for those customers that are affected, we apologize to them." Mendoza also said Frontier officials will visit Ceylon for a firsthand look. He said it's possible not all the cables on the ground are Frontier lines, but promises to assess the situation. Gibeau has heard similar promises before in a long career as a public official. At the same time Jesse Ventura shocked the state and the world 20 years ago by winning the Minnesota governor's race, Gibeau shocked Ceylon by winning the mayor's seat at age 21. He said he won't relent on the Frontier issue. "You don't do that to my town and think you're going to get away with it."